The Lowe Art Museum in the University of Miami had very humble beginning with just three classrooms in 1950 but a generous donation from Joe and Emily Lowe enables a free standing museum to be opened by 1952 and the first art museum in Southern Florida was constructed. Through the years the Lowe Art Museum has collected 17,500 objects and is considered one of the most important museums of its kind in the southeast. Some of the focal points of the museum includes it renaissance and baroque pieces, American art, ancient and Native American pieces and a number of Asian art works. The collection grew mainly due to winter residents who have provided both financial and artistic contributions. 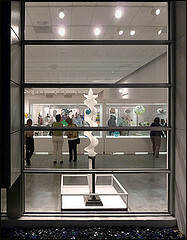 Like many museums the Lowe Art Museum features a number of permanent collections as well as several temporary ones. The temporary exhibits are always fascinating and offer a view into other art forms that are not always available but it’s the permanent collections that really make the Lowe Art Museum stand out as a leader in artistic expression. The Greco-Roman Antiquities collection features some unique and remarkable pottery and sculptures. Knowledge of the region and historical events that were occurring during the creation of these pieces of artwork provide deeper insight into the art itself and a possible glimpse into the artists. The 41 Renaissance and Baroque paintings and sculptures create the backbone of the museum’s Western collection and are housed in a 2,100 square foot gallery made possible by a contribution from the Samuel H. Kress Foundation. These magnificent paintings and sculptures were created by some of well noted artists and most of the work centers around religious themes. More well known artists’ works grace the walls in the 17th-19th Century European Art collection and again the theme of religion plays a great role as do portraits of royalty but we begin to see more slice of life paintings that focus on the average person. Some well respected, but many underrated artists from America are displayed at the Lowe. A large portion of the works of art center around realistic portrayals of nature and important early American events and people. The Modern & Contemporary exhibits are a mostly a greater shift from realism into an abstract view of life and art but one stand out artist is Duane Hanson who’s sculpting technique results in hyper realistic images that are so remarkable visitors almost cannot believe they’re not looking at a live human being. The heavy Latin influences in south Florida and Miami are obvious almost everywhere so it’s no surprise that the Latin American exhibit is so vibrant and alive with a variety of styles and types of artwork. Not a standard photo gallery, the photography collection is rather unexpected, combining traditional pictures and prints with new techniques that give a unique aspect to pictures that aren’t just images captured on film. The artwork in the Native America collection features pieces that were simply creations of art but there are more items that were designed to be as practical as they are beautiful. It’s this dedication to beauty in every aspect of life. There is something about the raw natural beauty of Florida that makes the Art of the Ancient Americas all that much more relevant. The art comes from both north and South America and much of it is both form and function that make it so remarkable and notable. The Asian art collection comes from a variety of dynasties and disciplines and is a wonderful sweeping view at how the artwork changed and the vast influences throughout time affected by the style and the way art was expressed. The African art collection is similar to the Asian on in that they both cover a large time period and a number of different disciplines. It’s a wonderful way to immerse yourself in a culture and glean little glimpses of the life these artists lived. This is a particularly interesting collection of art works because aspects of pacific island life are so foreign to the average American visitor. The art is very spiritual and often deeply tied to ceremonies and rituals. One of the rituals that played heavily into some lifestyles in the Pacific Islands is headhunting, which is the basis for some very interesting and captivating artwork. 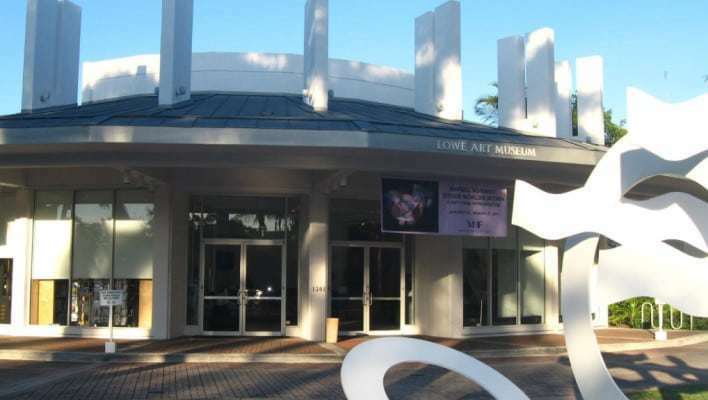 One thing that’s important to remember about the Lowe Art Museum is that it’s connected to the University of Miami and that education is at the core of the Lowe Art Museum. Educational opportunities are not only for students of the school but visitors are invited to participate as well. Staff and volunteers are located throughout the museum to provide information on particular art movements, specific pieces of art or the artists. In an effort to reach more people and bring the Lowe’s important collections to the public there are several temporary and traveling exhibits throughout the year. These collections show up at different locations, typically education based facilities. Groups can also contact the museum to schedule a tour which can be tailored a bit to best appeal to your group’s age or interests. If you’re a local and interested in being a part of the Lowe Art Museum – University of Miami there are several ways you can become a member. The Beaux Arts group is actively involved in promoting the museum and making it accessible to the public. Friends of Art is a civic support group for the Lowe Art Museum that looks to increase community involvement and acquire works of art. The Docent Guild provides the trained docents who help with a variety of educational programs as well as provide tours. And the Tribal Arts Society explores the lesser known cultures of Africa, the Americas, Asia and the South Pacific to bring works of art to the museum and learn more about the people that created the art.